UPDATE: The body of George Kohler was found in a shallow gully about 1 1/4 miles east of the Mesquite Spring campground, said Carma Roper, an Inyo County sheriff’s spokesman. The cause of death was not immediately known, but Roper said there were no signs of foul play or trauma. Other people that were with George on the ride said he had fallen three times the day before the ride and noticed that he was lagging behind which was unusual for him. George Kohler, 67, from San Francisco went missing in Death Valley National Park on March 14. He was with a group that were riding bicycles across the valley. 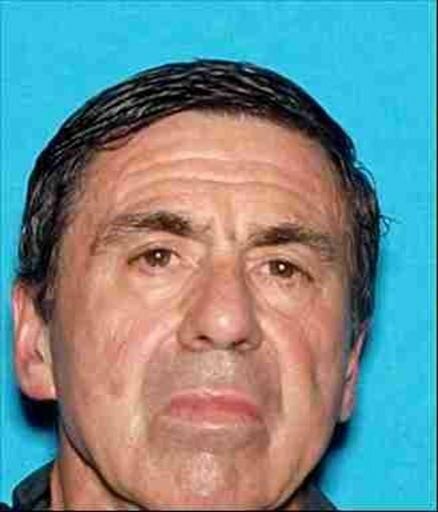 They had stopped at the Mesquite Springs campground and around 8:00 p.m. George left the campfire area, and he hasn’t been seen since. There was no sign he slept in his tent and his gear and bike were found at the camp. George is an avid rider and rode his bike from San Diego to Tallahassee Florida in 2000. He also trains others. George is 5’7″ tall, 160 pounds with brown hair and brown eyes. He was wearing a navy blue t-shirt, black pants and a blue jacket. If you have any information please call the Inyo County Sheriff’s office at 760-878-0383.